This fun and playful student interior was designed by Ruetemple (website in Russian), and it is located in Moscow. It is full of gorgeous white and fantastic wood, and fabulous lines and geometric shapes. 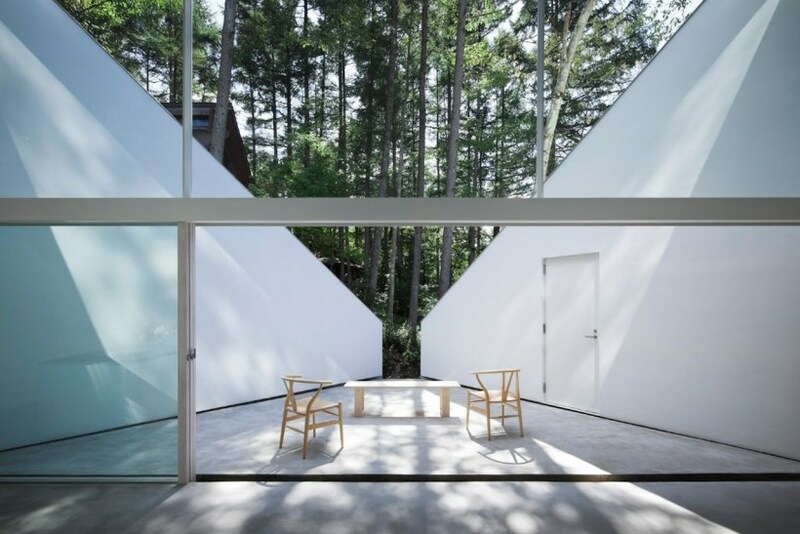 The triangular shape, with the wooden slats, is fantastically designed, providing interest to this wonderful home. This space is absolutely perfect for students. It provides a convivial interior for them to entertain, study, and live. The study area in this student interior has a substantial amount of desk space, a stunning white chair, and lovely hardwoods. Shelving and cabinetry fill the walls, providing a significant amount of storage. A large window lets natural light shine into the room, and lively plants add a wonderful green to the design. We adore the wonderful window seat, it fashions the perfect spot to take a quick break, in the midst of studying. On the other side, a wonderful seating area occupies the space. The addition of black is a wonderful touch, it opposes the white in the student interior, providing a striking contrast. White cushions and black and white pillows add comfort to this area, creating another fantastic place to lounge and relax. This section sits on wheels, allowing it to be moved and re-arranged at a moments notice, making the design flexible and adaptable to the needs of the student. The upper level of this student interior is fun and playful. 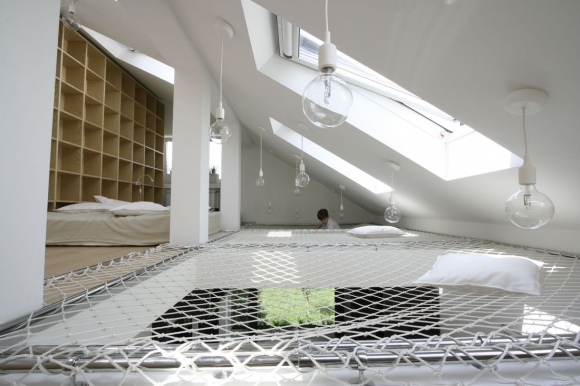 It has wonderful cubby holes, a hammock ceiling, and beautifully simple lighting. 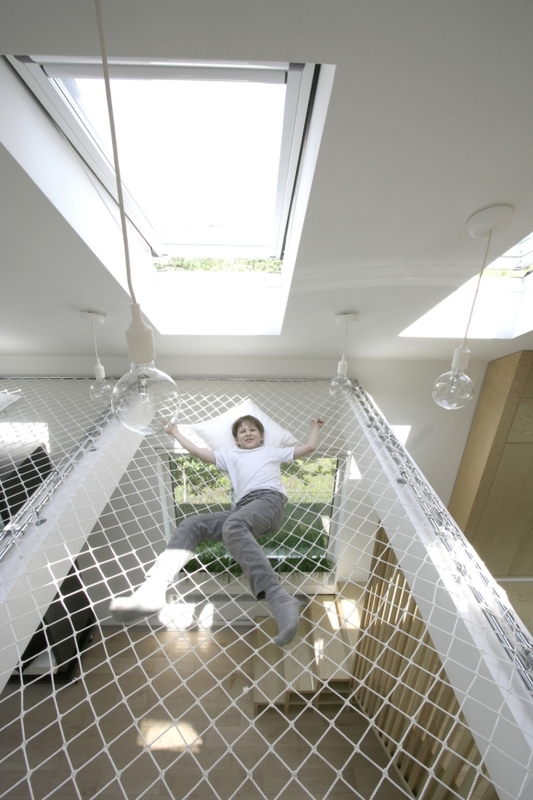 The lighting is playfully arranged above the delightful hammock ceiling. This would be a great place to read and hangout. The windows provide natural light to this amazing space, effectively brightening and opening it. A neutrally colored mattress sits off to the side of the hammock, fashioning a simple but cozy sleeping area.